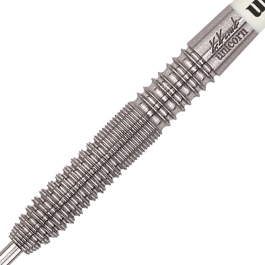 Poland’s leading darts ace Krzysztof Kciuk has joined Team Unicorn as the world’s leading darts manufacturer continues to spread the tungsten gospel. The 37-year-old from Krakow becomes the latest member of Team Global in a move that he hopes will help him take the next big step on the European darts scene. Unicorn Managing Director Edward Lowy sees it as another important step in helping to promote the sport. He became the first ever Polish representative at the World Championship in 2010. Kciuk lost to Japan’s Haruki Muramatsu in the preliminary round at the Alexandra Palace. And he also represented his country at the first ever World Cup of Darts – screened ‘live’ by Sky Sports – when he and partner Krzysztof Ratajski were beaten by New Zealand. But he has come a long way since he started playing soft tip darts in 2004….a year later he started playing for Poland a year after that, Kciuk won his first national championship. He has won several titles in his homeland and his main aim is to qualify once again for the World Championship.